There is some confusion over these two embroidery styles. It is not just the obvious difference of the colored thread. 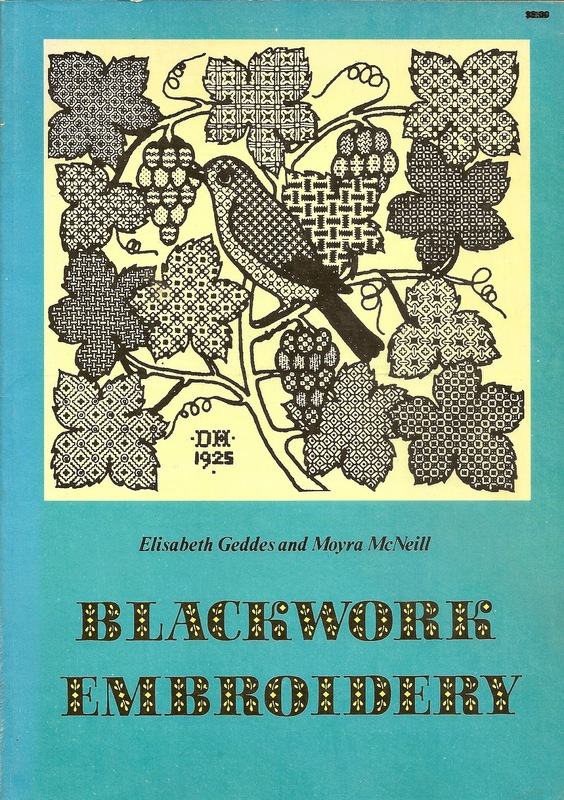 Let us start with Blackwork. Traditionally blackwork was black silk thread used to embroider mosaic designs onto white linen. Some early writers attributed the introduction of this embroidery to Catherine of Aragon and was called “Spanish work”. It reached the height of popularity in England in the 16thC and early 17thC. Actually, it was known in England before Catherine arrived in 1501. However, they were correct associating it with Spain and the Moorish invasions from northern Africa. Historically, the Moors settled in the south of Spain in 711 CE and introduced their geometric motifs simply outlined in black on a white ground. These Arabesque designs were adapted by the Spanish , and later other European countries. The stitches employed were back stitch, braid stitch, buttonhole, coral, double-running seeding or speckling stitches. Often it was highlighted with silver metallic thread. When first introduced Spanish work was used in edge treatments for collars an cuffs, and delicate in quality. As fashions changed, the work became more elaborate and embellished larger areas of dress. The motifs also changed from the geometric to flowing floral and imaginary bestial designs. Even simple designs became more intense by using filling stitches. 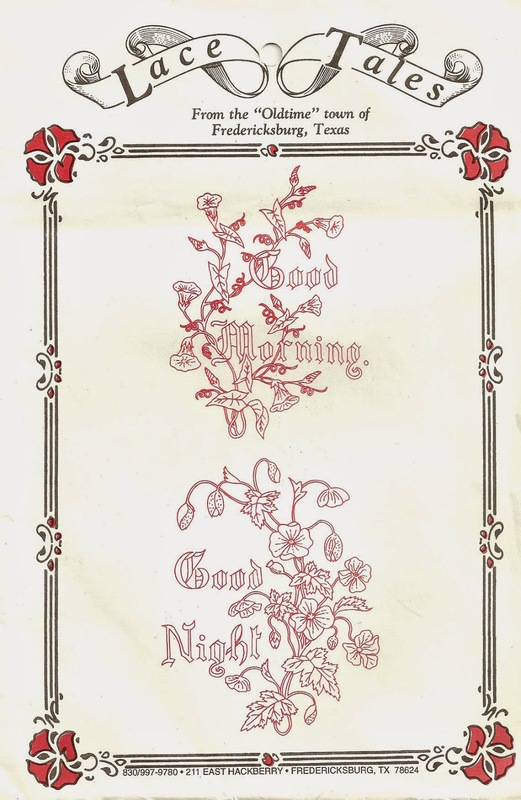 Redwork is a late relative in the embroidery family. 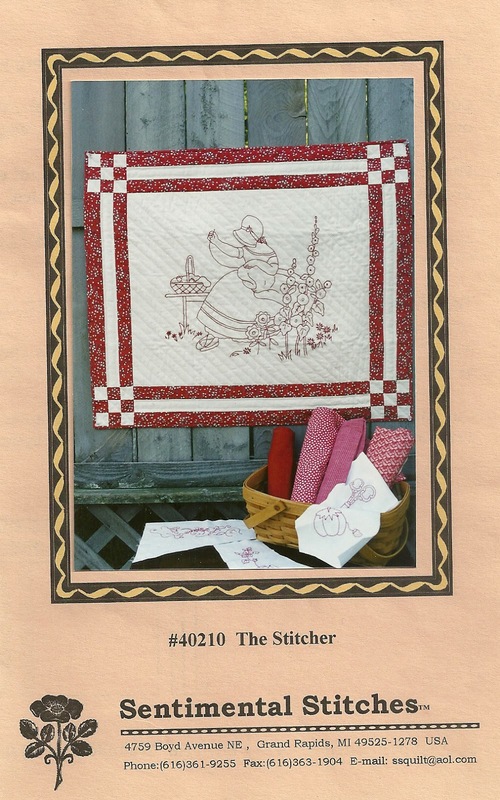 It became popular in the mid 1800’s when embroidery threads became available in Turkey Red. Turkey Red is an old dye produced in the Near East, the recipe a closely guarded secret. The “magic” of Turkey Red was it’s brilliant true red hue. Other red dyes, cochineal and madders produced orangey or brownish reds. 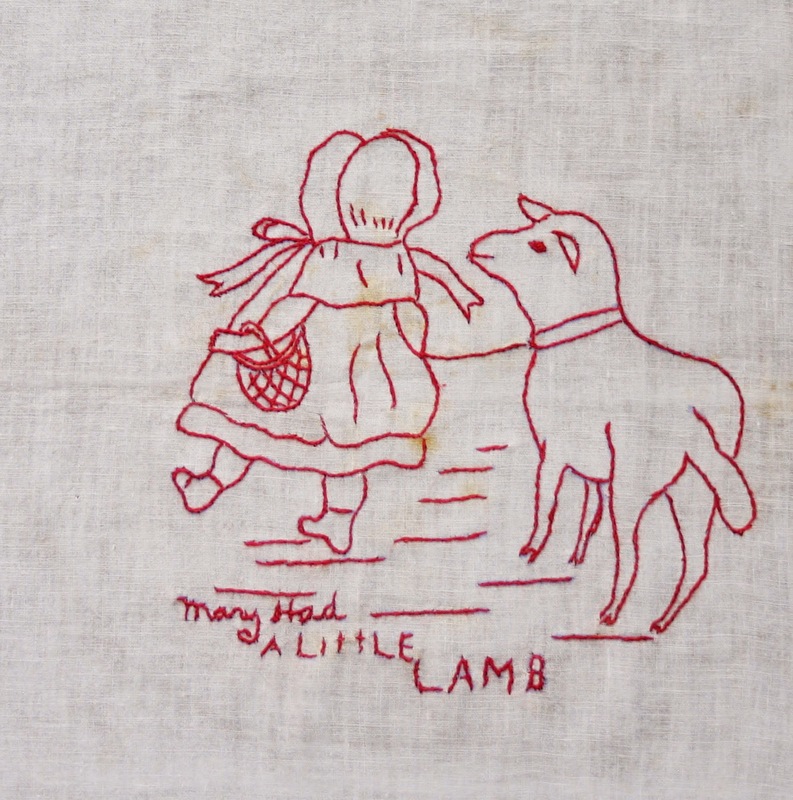 Turkey Red was also fade resistant and vintage textiles that were dyed with this red are still vibrant. 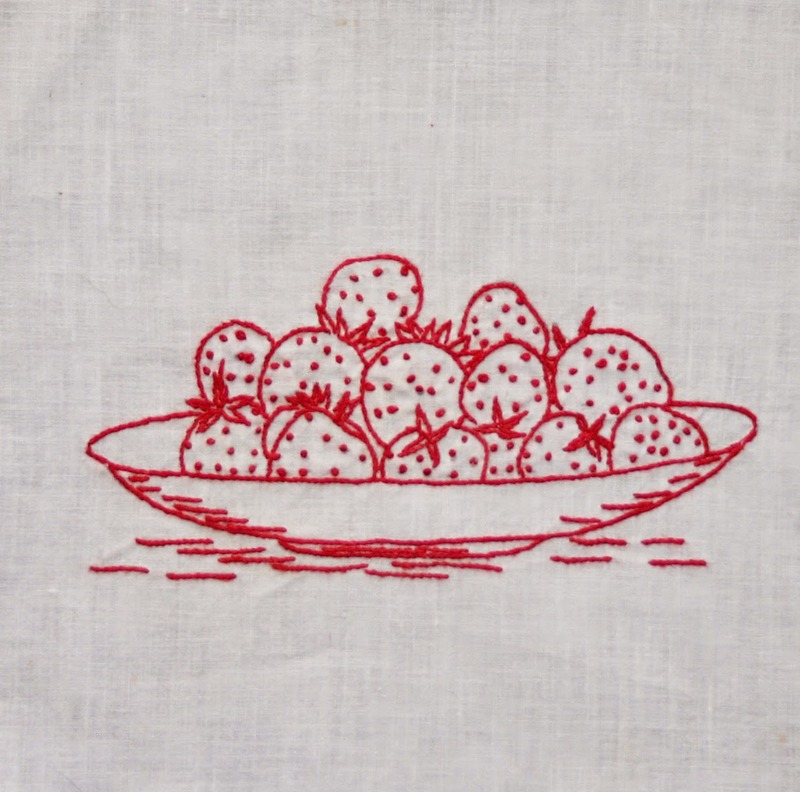 Redwork embroidery is the outlining of designs using backstitch or stem stitch. The patterns were taken from magazine illustrations, later commercial patterns could be purchased by mail. Less often dark blue thread was used, perhaps inspired by the blue and white china ware of the East or the blue and white rural Chinese embroideries. By the end of WWI other piecework replaced this embroidery style, but as is often the case it enjoyed a revival in the 1970’s. Most stores that sell sewing , knitting and embroidery supplies also sell “kits” with iron-on transfer designs.